"It’s the cheapest I ever seen for dash cam" You need to go to Specsavers. You 'quoted' the Op but missed out a few relevant words, maybe you didn't have your glasses on? Pedants desist! this is the OP's first posted deal, let's embrace this fine fellow and look forward to future deals. 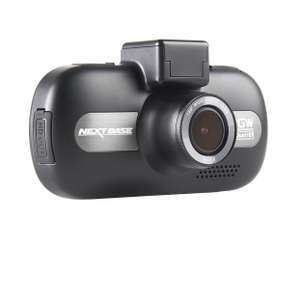 "It’s the cheapest I ever seen for dash cam"
Will you care to share where you have seen it cheaper so others can benefit? Was thinking about the 412gw or the Garmin 55. Might have to go for this now. This is a clear mistake, pre order a dashcam thats already out, i have one in my car lol. Will you care to share where you have seen it cheaper so others can …Will you care to share where you have seen it cheaper so others can benefit? If you read my post, I quoted the OP before he made use of the edit facility. You 'quoted' the Op but missed out a few relevant words, maybe you didn't …You 'quoted' the Op but missed out a few relevant words, maybe you didn't have your glasses on? No. I quoted the OP verbatim. I assume he saw my comment and utilised the edit facility to add ONE word - not a few. I read gw as gigawatt which made me think this would be a good Dashcam for a DeLorean. I read gw as gigawatt which made me think this would be a good Dashcam for …I read gw as gigawatt which made me think this would be a good Dashcam for a DeLorean. Nextbase live chat suggested Amazon hasn’t received the stock for that price point and suggested I pay £118 elsewhere (but they would of course) rear cam due at end of year for around £60-70 according to them in the same chat. I paid less last month directly from Nextbase . £104.99 to be exact . Good piece of kit . Deal posting newbie! This is simply_rax first deal post. Help out by leaving a posting tip or just to show your appreciation for their contribution.